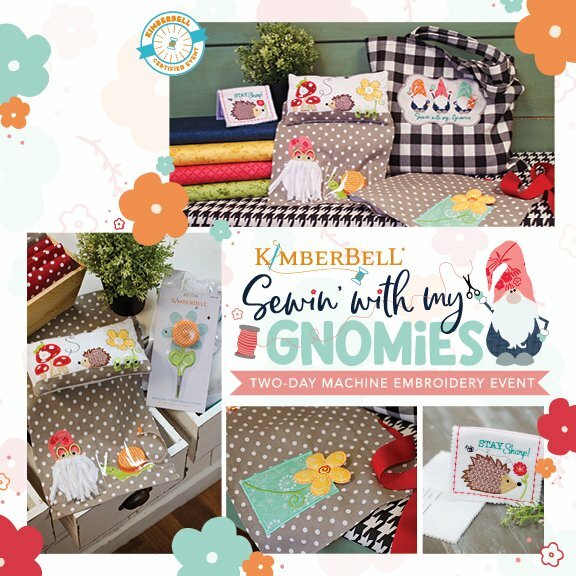 It’s a cheery celebration, sewing with friends, and Kimberbell at our two-day machine embroidery event with a sewing and garden theme! and tape measure. You will learn new techniques like over-the-edge appliqué and more!